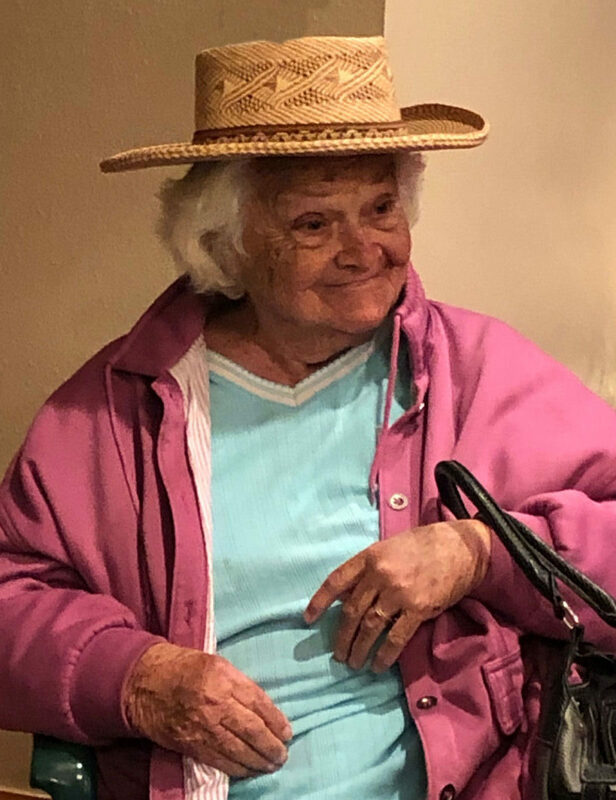 Betty Jo (Winslow) Stutesmun, age 88 of Greenmound Ridge, went to be with her Lord and Savior Sunday, March 17, 2019. Betty was born the fifth child of Oscar Edmond and Ina Belle (Dye) Winslow November 5, 1930 in Woods Fork. Betty was united in marriage to Clell Woodrow Stutesmun on August 12, 1947, and to this union two children were born. Betty Jo enjoyed writing letters and poems, garage sales and Diet Coke. She was a homemaker and loved blessing people with the treasures she would find and also helping anyone she could with household chores. She was a member of Pleasant Grove Baptist Church (Tory) and delighted in calling up a choir for a song. Betty was preceded in death by her parents and husband and also both children, infant son Ray Dean Stutesmun and Connie Sue Maples; brothers and sisters, Elma Winslow, Clyde Winslow, Flora Faye Johnson, Mary Fern Stutesmun, Jackie (Jessie James) Winslow, Benny Winslow and Danny Winslow. She is survived by her grandchildren Brian (Evelyn) Maples of Greenmound, Darla (Trevor) Liverpool of Highlandville and Clell (Rachel) Maples of Neosho; Great- grandchildren Morgan (Justin) Baker, Bradley (Paige) Maples, Ryleigh (Cade) Stone, Mario and Ricardo Lopez, Jada Liverpool, Ezekiel Maples, Gideon Liverpool, Elijah Maples and Emily Maples; Great-great grandchildren Allie Baker, Emma Maples, Macy Baker and baby boy Maples; sister Patsy (Vernon) Skeen of Dothan, AL and a host of other relatives and friends. Funeral services for Betty will be 1:00 P.M. Tuesday, March 19, 2019 in Pleasant Grove Baptist Church. Burial will follow in Highlandville Cemetery. Visitation will be one hour before service time. Arrangements under the care and direction of Barnes Family Funeral Home, Ozark. Online condolences may be shared at www.barnesfamilyfunerals.com.